Papankusha Ekadashi is one of the significant Hindu fasting days which is observed in the Ashwin month on the eleventh day (Ekadashi) of Shukla Paksha. Therefore, the festival is also popular as ‘Ashwina-Shukla Ekadashi’. According to the Gregorian calendar, this festival is celebrated either in the month of October or September. The day of Papankusha Ekadashi is celebrated to worship Lord Padmanabha who is an avatar (incarnation) of Lord Vishnu. Devotees observe a Papankusha Ekadashi fast to get divine blessings of the deity and to relish the several luxuries of this universe. It is regarded as one of the most important Ekadashis as the devotees who observe this fast are blessed with worldly desires, wealth and good health. As per the Hindu beliefs, it is believed that the individuals cannot be relieved from all the past sins and wrong deeds till the time they do not observe a Papankusha Ekadashi Vrat. It is also believed that the merits and benefits of this fast are equal to the benefits attained by performing several Ashwamedha Yajnas and Surya Yajnas. The devotees observe a silent vow or a strict Papankusha fast on this particular day. The observers are required to wake up early morning and get dressed up in clean attire after taking a shower. All the rituals of Papankusha Ekadashi Fast initiate on the eve of Dashami (tenth day). On this particular day, observers are required to consume a single sattvic meal and that too before the period of sunset. The Vrat continues till the time when the Ekadashi tithi ends. During the observance of Papankusha Ekadashi Vrat, the observers are restricted to perform any kind of sinful or evil deed and are also restricted to speak lies. The fast concludes on the eve of Dwadashi which is the twelfth day. All the observers are required to make some donations and offer food to the Brahmins before concluding their fast. The observers are not allowed to sleep during the night as well as the day. They must spend their entire time reciting Mantras in order to please Lord Vishnu. Reciting of ‘Vishnu Sahasranama’ is considered as highly auspicious. On this particular day, devotees worship Lord Vishnu with great zeal and immense devotion. Once all the rituals are finished, devotees perform aarti. Performing charity on the eve of Papankusha is regarded is highly rewarding. The observer should donate food, clothes, and money to the Brahmins. Devotees also organize a ‘Brahman Bhoj’ as a part of the donation as it is believed the individuals who perform charity and donations on the eve of this festival never go to hell after their death. 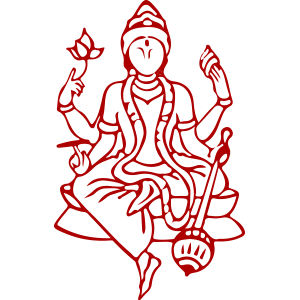 ‘Brahma Vaivarta Purana’. According to the Hindu mythology, it is believed that this is considered as the most fortunate and auspicious observance for getting relieved from all the past sins. According to the Hindu beliefs, Lord Krishna explained the benefits of performing a Papankusha Ekadashi fast to King Yudhishthira and stated that, the person who observes this fast and offer prayers to Lord Vishnu attain salvation. As per the legend, there was a hunter named Krodhana who was very cruel and unkind. The hunter used to live on the Vindhyachal mountains and was highly involved in performing evil deeds and bad sins throughout his life. No one could ever teach him to spend a peaceful life. When years passed and Krodhana became old, he started getting scared about his death. He was extremely worried regarding the pain he would suffer after death because of his sins and evil deeds. To make up for his past deeds and sins, Krodhana approached a renowned sage Angira who used to live in a forest. He sought help from the sage and asked him to find the way by which he can get relieved from all his sins. To this, the sage guided the hunter to observe a fast of Papankusha Ekadashi which takes place in Ashwin month and falls during Shukla Paksha. Krodhana performed all the rituals and also observe a Papankusha Ekadashi Vrat as explained by the sage. The hunter got the blessings of Lord Vishnu and was relieved from all his past evil deeds and thus attained salvation. Since that time, devotees observe a fast and perform puja rituals to eliminate the past sins and achieve salvation. The major benefits of observing this fast are to attain salvation and divine blessings of Lord Vishnu.